Why go hunting all over Hyrule for a goddess statue when you can have your own! Collect heart vessels and increase your stamina wheel from the comfort of your desk with this hand textured and hand-painted goddess statue. These statues are textured and painted by hand to look like weathered and chipped stone. 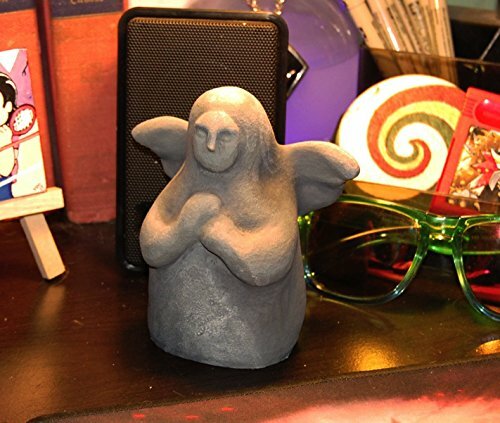 Statues measure 4.5" tall and 2.5" in diameter, with a 4" wingspan. Andromeda House exclusive! Each one of these statues is completely hand-textured and hand-painted, which means that each one is completely unique and may vary slightly. Free shipping on domestic orders only!